The Gum Ball is a unique weekend music and arts festival held at ‘Dashville,’ the Johnston family’s bushland estate located at Belford in the Hunter Valley. 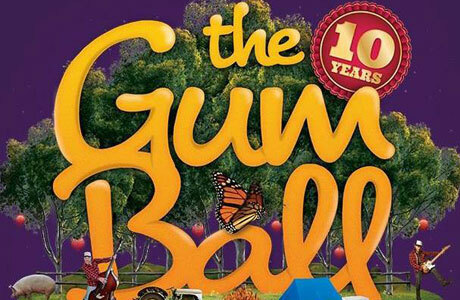 Originally developed as a festival for discerning music peeps, The Gum Ball is now widely recognised throughout Australia for providing the best in simple pleasures, with a taste of country living in a laid back, hassle free environment. A weekend in secluded bushland full of awesome live music & art, onsite camping, BYO, delicious food, market stalls, kiddies mega playground, heaps of games and prizes, some big warm fires and a classic vibe similar to your mates backyard party. Don’t forget to book your Around Hermitage Accommodation in plenty of time.